It is time for MM 220 and as it is the first Wednesday of the month it is time for the theme, which was circles. Not many entries, please enjoy. The next theme will be announced soon. Please resize your images, it is fairly simply, you just need to go into any editing software and usually under Image you will find, resize, scale, or image size, something like that and you can resize your image there. Change the dimensions to pixels and make the longest side 1000 pixels or smaller, hit return, and for most types of software that should change the other side automatically as well. Just remember to save it with a different name so you know it is the smaller version. If you have any problems, please contact me, I don’t mind helping out. Thank you to those who commented on the moon image . . . for them interested in such things . . . It was shot with the Nikon P900 at ISO 110 and 1/125″ at f/6.5. 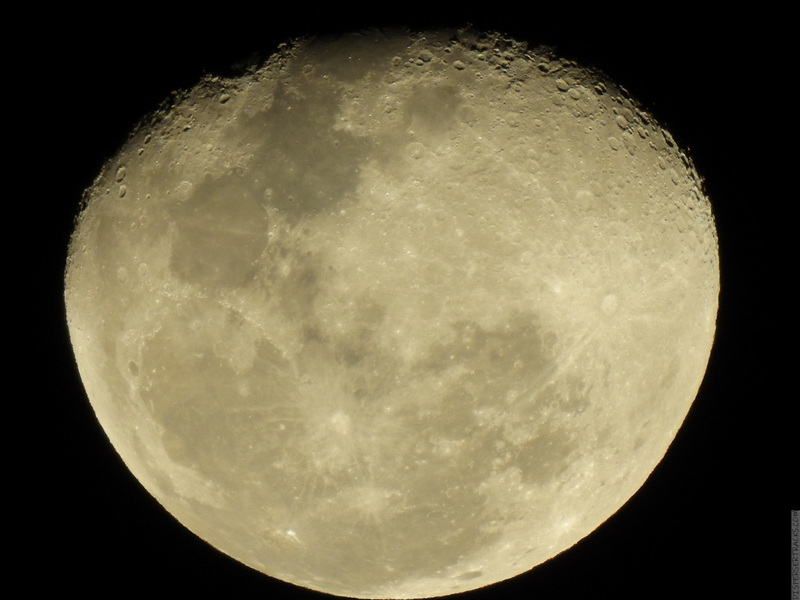 The image is not cropped; the optical zoom of the P900 is 2000mm (35mm eq.) but this image was shot at 3200mm (35mm eq.) zoom and was hand-held although I was leaning on a wall to stabilize myself. It was processed using Nik Tools (Silver Efex Pro 2, Sharpener Pro 3, and Dfine 2) and output using Lightroom Classic. It was taken in February of last year in Kona, HI. This shot is not currently possible because of the amount of Vog that is in the air most days. Also for those interested, this is the shot as it came out of the camera and without any adjustments other than resized to 1000pxl. Thanks, and hand-held needs explaining. The camera is not balanced very well and I don’t want to hold the movable portion of the lens. What I do is one of two things. 1) I lean on a wall or other solid structure and raise my left arm to shoulder level and put my left hand on the right shoulder. That forms a semi-stable platform on which I can rest the lens/camera as I look through the viewfinder. 2) if I’m using the rotating screen to sight/aim, I hold the camera at waist level and stabilize it by “pushing down and out” thus creating tension on the camera strap around my neck and shoulder. The tension helps stabilize the camera and keeps it from “wandering” thus allowing the camera’s own image stabilization to work a bit better. In the above case, I used method No. 1. Lots of wonderfully creative compositions for this week’s MM. Circles was clearly an inspirational theme. That moon image is amazing. Found this one very difficult. I have exactly zero photos on my blog tagged with circles lol. Really something to work on, cause the theme itself is great. And love the moon image and the Chinese bridge reflection which forms circles. Beautiful and Unique photography ! Nice images although I will have to say that my efforts to find anything in a circle or round didn’t present themselves but then I was busy shooting and editing video all last week. The moon was a super nice image and a good spot for circles. Good job to all who submitted you have my admiration for seeing and photographing circles. What is the next theme?